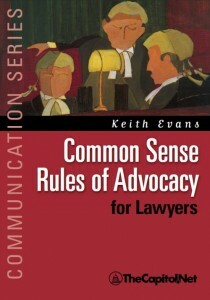 Common Sense Rules of Advocacy for Lawyers provides tips and rules that will help anyone – lawyer or lobbyist, account executive or negotiator, parent or teacher – improve their advocacy skills in less than 10 minutes a day. A valuable review for the old timers and an excellent primer for those who are starting the climb. 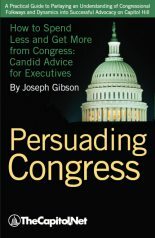 This is a terrific guidebook that should be followed by all young trial lawyers. 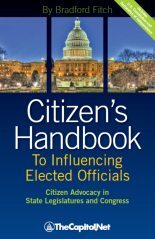 Having adjudicated many, many cases, I wish every advocate would review these practical rules for effective advocacy. 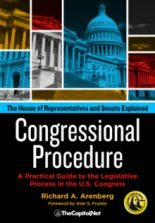 All advocates will benefit from this helpful book. 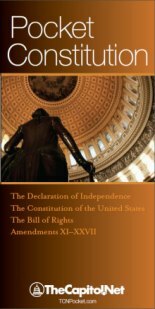 For complete Table of Contents, sample sections, and secure online ordering, see RulesOfAdvocacy.com. Written Press Statements or Press Interviews – Which is Best?